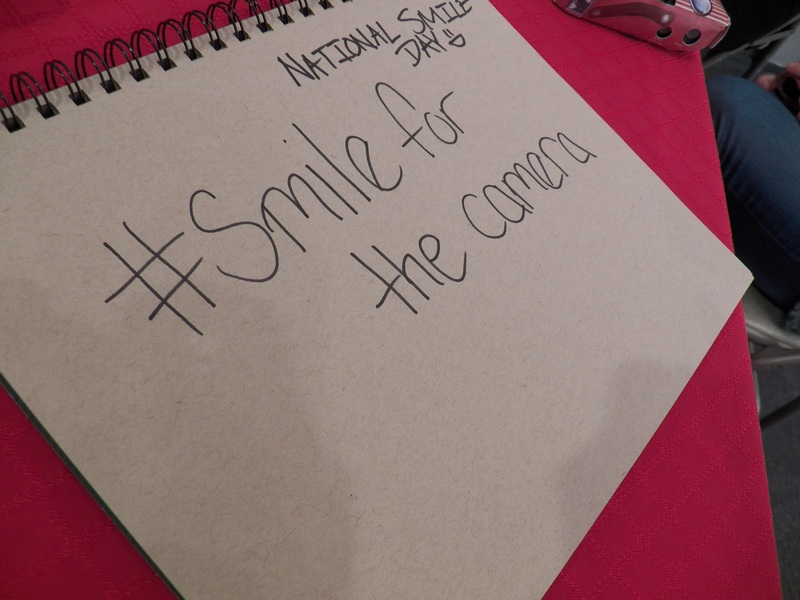 Staff from Salem’s yearbook, Sights and Insights, set up a table at Artworks Gallery on Trade St. during Gallery Hop on Oct. 7 in honor of World Smile Day and National Yearbook Week. Staff members and volunteers handed out disposable cameras. Art professor Kim Varnadoe is the faculty advisor for Sights and Insights. Varnadoe and ‘13 Salem alum Taylor Hayes also each had their artwork featured at Artworks Gallery as part of an exhibit called “The Light Gets In,” which was on display from Oct. 2 to Oct. 29. Junior Ariel Becker, who visited the art exhibit, enjoyed her experience at Gallery Hop.“I like seeing the artwork because my minor is in art. And I have always been interested in it, so it was very fun, plus I get extra credit, plus it was for work study, to go take pictures,” says Becker. Gallery Hop takes place on the first Friday of every month from 7 p.m. to 10 p.m. in downtown Winston-Salem. Art galleries feature local artists’ work and attendees can come and go as they please. The Arts District is home to small business owners that support local artists. Restaurants and small businesses display local art to support fellow entrepreneurs. The Arts District is a vibrant area of Winston-Salem and Gallery Hop is a chance for Salem students to introduce themselves to the area and the arts in the city.